Homecoming weekend was a huge success once again and a big thank you goes out to Student Council and its advisors Mrs. Scott and Mr. Moriarty for helping make it such a fun weekend for our students with the dance on Saturday - a big thank you to all of the teachers who chaperoned. Friday night the football team kicked it all off with a huge win (more on that later) in front of a large hometown crowd. This also marked the debut of our brand new video scoreboard. Mr. Casey, one of our amazing teachers here at Whitman-Hanson, built many of the flashy elements that we displayed on the board. In addition, we showcased many of the clubs and classes here at Whitman Hanson by displaying slides teachers and advisors sent in. One of the highlights of the night was our annual Parade of Champions. The baseball team, boys basketball team and cheerleaders marched on to the field at halftime and were greeted by superintendent Jeff Szymaniak and principal Dr. Christopher Jones. Baseball won their second straight league title last spring while boys basketball won their third straight league championship. The cheerleaders won virtually everything last year, taking both fall and winter league titles and both state championships as well! 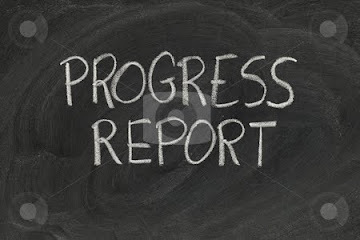 Be sure to read our entire recap so you learn about a great new group we are starting. 1) The football team was dominant on Friday shutting out Quincy, 39-0. Senior captain Rian Schwede had a monster game passing for a touchdown, catching a TD pass and running for another. Senior captain Ethan Phelps was a force on both sides of the ball and got the night off to a strong start with an 18 yard touchdown run. He finished the night with 8 carries for 92 yards. Billy Martell carried it 6 times for 61 yards and a touchdown. Junior John Zeidan threw his first career TD Pass. Senior captain Jacob Nixon caught an 11 yard touchdown pass and Nate Beath had a 2 yard run. Quinn Sweeney and Beath were both immense on defense all night. The Panthers improve to 3 and 2 and play host to Silver Lake on Friday in the final regular season home game of the season. The Panthers control their own destiny in their quest to host their first every playoff game. If they can win their remaining games they will clinch a top 4 spot and a home game in round 1. 2) Our field hockey team showed tremendous resiliency this week rallying 3 times to earn important ties. In their final game of the week, the Lady Panthers travelled to Silver Lake and came back from a 2-0 deficit. Midway through the second half, Freshmen Lauren Dunn got her first goal of the season with the helper from Robin Goyette. The Panthers kept the ball in the Laker end and got another tally 5 minutes later. Lauren Clark scored her third of the season and Zoe Lydon earned the assist. The girls play under the lights Tuesday as they play host to Hanover. At 2-5-5 on the season, the team is still in strong contention for a post season berth. 3) The girls soccer team still remains tied atop the Keenan Division with defending champion Hingham. The Panthers battled to a scoreless tie at Hingham. Samantha Smith, Sam Perkins, Emily Blake and Erin Wood were strong defensively for the Panthers. Keeper Senior captain Skylar Kuzmich made 9 saves in goal for the shutout. Kelsee Wozniak and Emily Billings also turned in strong performances. The Panthers went on to beat Quincy later in the week, 5-0 with Senior Captain Samantha Smith, Freshmen Olivia Borgen, Freshmen Nora Manning (2 goals) and Anna Sullivan all scoring. The girls suffered a non-league setback Friday at Weymouth losing 2-0. The Panthers are off now until they host Scituate Wednesday night at 6:30pm. 4) The boys soccer team had a difficult week dropping all 3 games they played including a heartbreaker at Quincy. The Presidents got on the board near the end of the first half. 1-0 going into half. The second half was a great battle from both sides. W-H got on the board in the 25th minute. When senior Ben Rogers headed the ball to Dalton Desrocher to tie it 1-1. The score stayed that way until the 79th minute when Quincy scored on a free kick that was tapped in on the back post. The Panthers are 3-6-1 overall and 1-5-1 in the Patriot League. They have a chance at revenge Monday when they host Quincy at 11am. 5) Whitman-Hanson volleyball went 1 and 2 this week but ended on a high note beating Scituate on the road, 3-1. The Panthers began the match slow but rallied in the second set and pulled off the win. Allison Hanlon showed her senior leadership leading the team with 8 kills. During the second set junior right side Audrey Fuller and defensive specialist Julia Harrington led the team to a solid win and set the tone for the rest of the match. Sophomore setter Caileen Hurley had 12 assists and Junior middle Marissa Connell stunned the crowd with 2 slide ace hits. The Panthers are 3-7 overall, 3-6 in league play and travel to Plymouth North Tuesday 10/9. Also this week, the girls participated in two great community service projects - “The Pink Game” which supports the fight against breast cancer and the team unloaded Pumpkins which the sales will benefit the local food pantries. 6) Our golf team hit some rocky waters this week dropping all 3 matches. On Thursday the Panthers lost to Plymouth North at Plymouth Country Club, 250-267. The loss puts the Panthers at 5-4 overall and 4-4 in the league. Senior captains Owen Manning and Ed Scriven led the team in scoring with 6 over par and 8 over par performances, respectively. The team heads into the long weekend with a tough road ahead of them, as next week they will face off against Duxbury, Silver Lake, Hingham, and Plymouth South - all solid opponents. The Panthers though have played great golf this season and are confident they can turn things around. 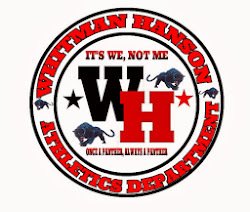 7) In Girls Cross Country, Junior Tori Boss was Whitman-Hanson's top finisher (5th, 21:37) against Hingham Wednesday afternoon as the Panthers (1-4) lost 16-45. Running well for Whitman-Hanson were Senior Captain Maeve McDonough (7th, 21:53), Senior Captain Maeve Rooney (13th, 22:46) and Juniors Niki Kamperides (14th, 22:49) and Tori Carleton (16th, 23:19.). The girls play host to Silver Lake on Wednesday. 8) The Whitman-Hanson Boys Cross Country team (1-4) lost to Hingham at home Tuesday afternoon 21-40. Hingham runners went 1-2, while Sophomore Theo Kamperides and Junior Brandon Hager (3rd and 4th) crossed the finish line in 18:02. Also scoring for the Panthers were Senior Captain Adam Solari (10th, 18:47), Junior Dyllan Burns (11th, 18:47), and Sophomore Liam Cafferty (12th, 18:48. ).